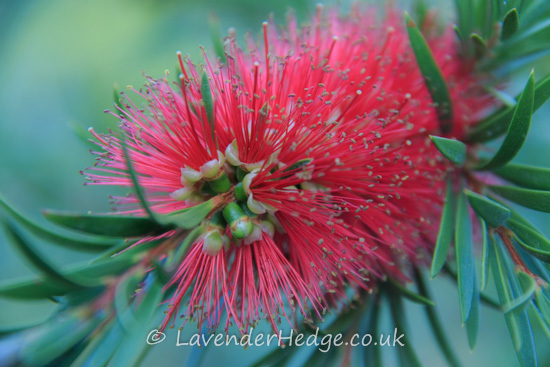 The flower heads are cylindrical in shape and reminiscent of a bottle brush – hence its common name. This evergreen shrub is native of Australia, so needs a sheltered, sunny position. I thought I’d lost this specimen a few years ago during a hard winter, but it did eventually grow back from the roots. It is also suitable for planting in pots so it can be taken indoors during hard winter weather. It receives a tidy-up prune after flowering.